Bellbirds / Korimako: Friday Discoveries! Please note that the Weekly Words for Mrs O and Mrs T's groups are now at the top of our blog. These will change weekly. Today we explored ice and floating. We made lots of careful observations. The ice felt very very cold, hard, wet and slippery! It gave us goosebumps and made us shiver! 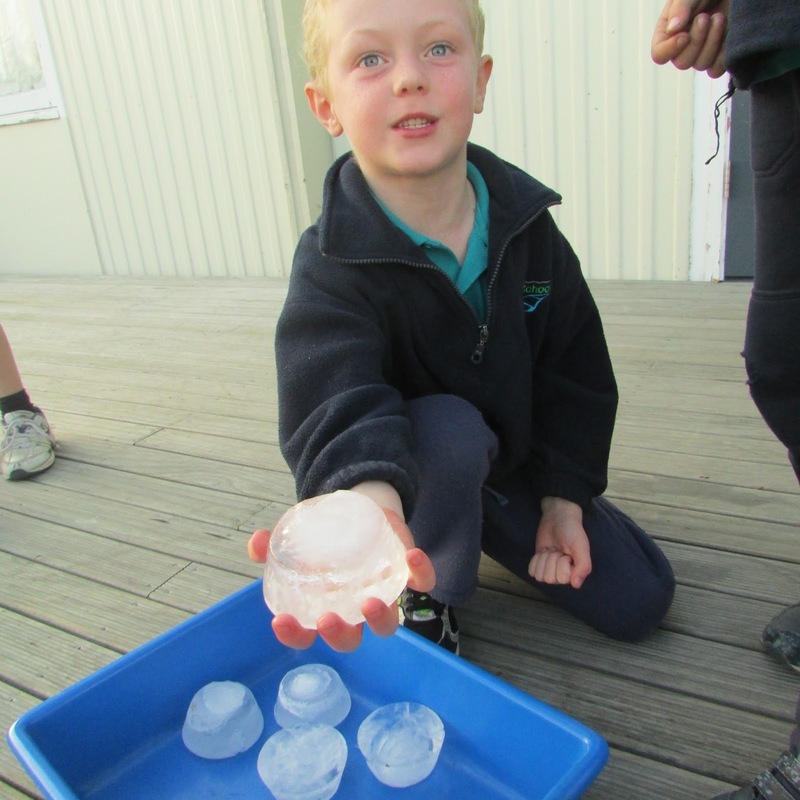 Fynn thought the ice was "as cold as Antarctica!" We noticed how the ice had lots of cracks through it and got smaller! 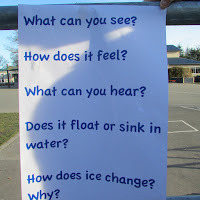 We know that it melts when it gets warm and changes into water. We discovered that ice floats! 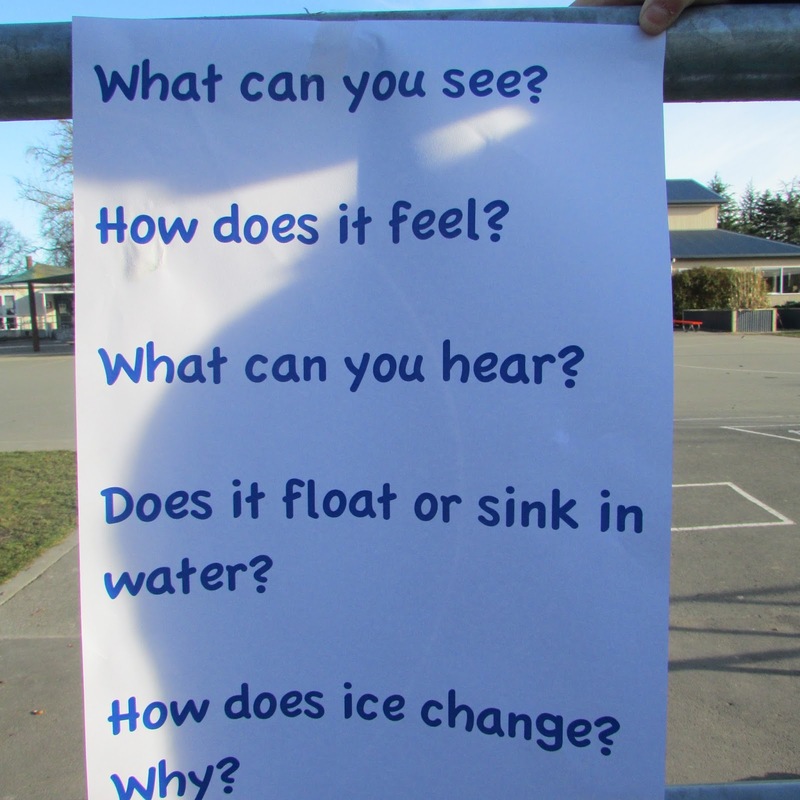 We noticed more of the ice was under the water than above! We decided to explore what other objects float and sink too. Thank you Lochie, Susan, Zoe and Mrs Tipping for making fresh play-dough for us to use! We tried very hard today to take time on our ideas to make sure that we achieved quality work that we were proud of! We know that it takes time! 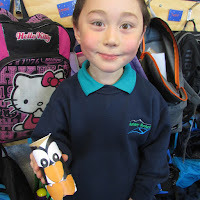 Bentley worked hard on his cute penguin today!Welcome to school Bentley! Terrific pirate hats and boats! Thank you Olivia for sharing and organising this popular princess idea today. What good discoveries today. The ice experiment looks interesting too. Mrs.R. Wonderful work Korimako (Bellbirds). You are real ice- experts!